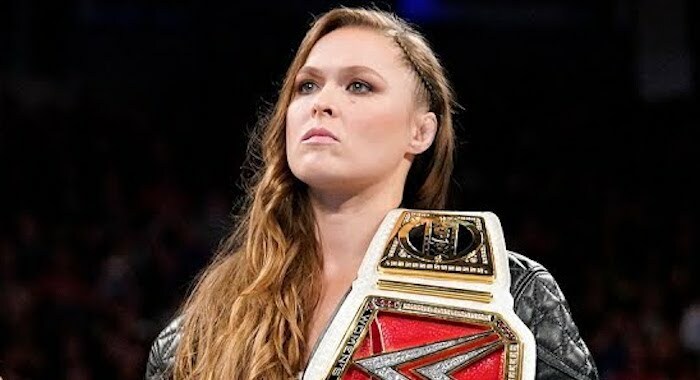 Ronda Rousey is the current WWE Raw Women’s champion and one of the most popular Superstars in Vince McMahon’s company. The Baddest Woman on the Planet recently survived a brutal beatdown at the hands of Charlotte Flair at Survivor Series but now Rousey is moving on. The champ will defend her title against Nia Jax at TLC on December 16. Rousey recently did a Q&A session on her Youtube channel, where she talked about what kind of champion she is. Rousey may, or may not, be referencing Becky Lynch with that statement. Rousey was booked to face Lynch at Survivor Series, but the current SmackDown Women’s champion was put out of the match by Jax. Since then, Rousey and Lynch have traded shots back and forth on Twitter. Ronda does seem serious about her title run and doesn’t shy away from just how tough it is. Rousey and Lynch may indeed face off at some point .Many WWE fans are surely hoping to see that match happen at WrestleMania 35 in 2019.